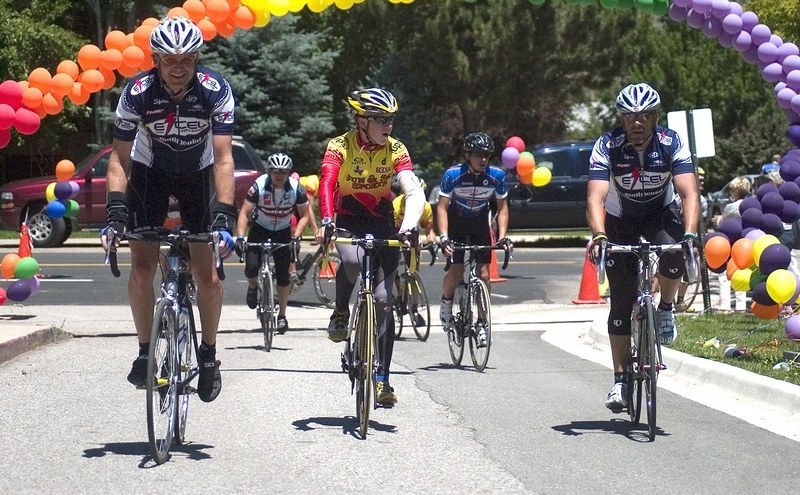 The 15th annual Bicycle Tour of Colorado concluded at Sopris Elementary School in Glenwood Springs in 2009. A Colorado bicycle tour has left some organizations on the Western Slope with bounced checks instead of promised payments amid questions about whether the ride itself has pedaled off into the proverbial sunset. This year’s Bicycle Tour of Colorado took place June 24 through 30, and covered more than 425 miles as cyclists rode over four mountain passes in a loop that started and ended in Leadville, passing through Carbondale, Delta, Palisade, Glenwood Springs and Eagle along the way. Jill Jurca, treasurer of the Delta High School Band Parents, heard through the Delta County Chamber of Commerce that the 24th annual Bicycle Tour of Colorado was coming through town this past June, and the Morrison-based ride’s organizers were looking for service groups that could help provide meals to the event’s 1,500 cyclists. Jurca’s group of Delta High School band students and parents was happy to help, using the opportunity as a fundraiser for the band and working out an agreement to prepare a hearty breakfast for tour participants in exchange for $1,800. But last week, while balancing the group’s books, Jurca noticed the bike tour’s check had bounced.